Once your baby becomes mobile and is able to pull themselves up on the furniture, it is time to think about baby proofing your home. 1. 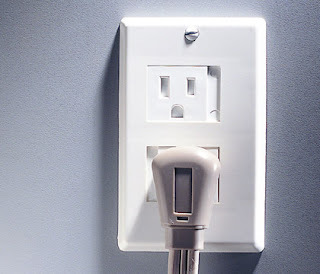 Electrical Outlets – Kids love to plug stuff in where it doesn’t belong. There are a few ways to prevent your toddler from hurting themselves around your electrical outlets. The first and easiest are white plugs that fit into the outlets. They are easily removed with a little elbow grease and can be found at the dollar store. For the extra cautious parent there are special covers that replace your existing one with spring loaded plugs. Once the cord is removed, the plug moves over preventing your child from putting anything in the slots. They cost about $5 each. 2. Cupboards and Drawers – There are many products that will work on most cupboards regardless of the type of handles you have. The Adhesive Mount Drawer & Cabinet Lock ($8)is The ONLY lock that mounts without tools, holes or screws. 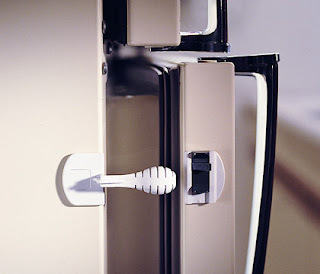 It leaves no damage when removed and fits most cabinet doors and drawers, including framed and frame less styles. 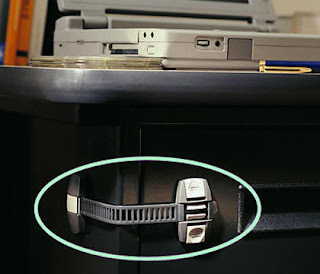 The adjustable locking strap (circled, $5 each) is ideal for use on lazy susans, glass doors, appliances and more. 3. 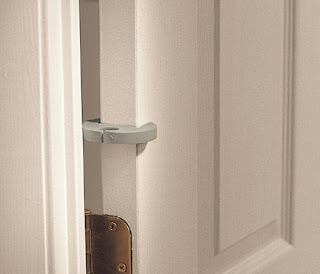 Doors and Door Handles – In order to prevent little finger from getting squished a Finger guard ($5 for 2) can be installed on the side of the door. Door handle covers ($5 for 2) will help prevent your child from leaving your home when your not looking or getting into rooms that you may not want them in. 4. Toilets – The toilet lock ($16 each) helps keep curious children, toys and hands out of toilet. 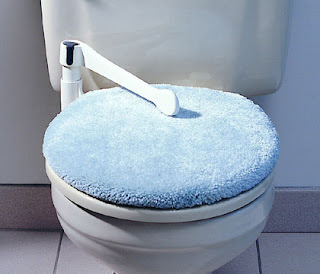 The universal mount attaches under seat bolts on most standard toilets for a custom fit. Once you use the toilet it automatically resets when lid is lowered. 5. 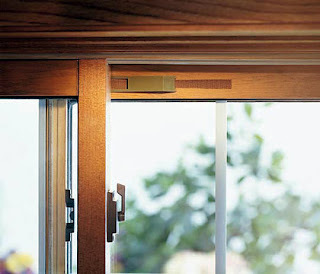 Windows – A window wedge ($4 for 2) can control the height or width of the window opening. These are great for making sure that the window stays open safely, but not enough for your child to crawl out of. 6. Furniture – Dressers, Wall units, Televisions and Bookcases should all come with tethers that attach from the back of the furniture to a stud in the wall. Too many children die each year from furniture falling and crushing them. The most popular occurrence happens when a climbing baby opens the bottom dresser drawer and uses it as a step to get what is on the top of the dresser. The weight of the furniture is not enough to compensate for the moving child and the whole thing falls. If you do not have the tethers that came with your furniture you can purchase them at any hardware store ($4 for 2). Installing these all all pieces of furniture in your house is VERY important. It only takes a second for something to happen. 7. 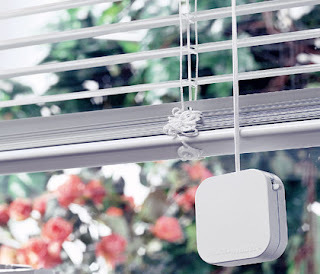 Blind Cord Covers – The blind winder ($12 for 2) is a small box that keeps your blind cords hidden from your child. It automatically retracts by pushing a button; just like a tape measure. 8. 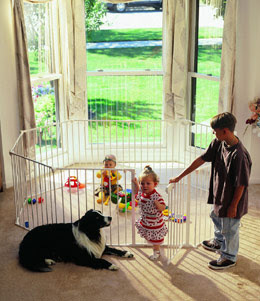 Safety Gates – Gone are the days where a safety gate only fits one doorway. These lifesavers come in all sizes and will fit across the biggest of spaces. For a stronger piece of mind you can also get a freestanding play area (pictured, left) that will give your child their own personal space to play in. Every stairway should have a gate on it. You can choose the portable ones that can be moved all over the house when need or a more permanent on that needs to be screwed into the wall. 9. Major Appliances – Little explorers find the fridge and stove exciting. The On/Off Appliance automatically locks when in the ‘on’ position and will keep your toddler from getting extra ice cream. You can use on refrigerators, freezers and ovens. Smoke Detectors and Co2 Sensors are a MUST in all homes. Carbon monoxide poisoning can happen to anyone at anytime. Exposure seems to be more of a concern for unborn babies, infants, seniors, and people with coronary or respiratory problems. CO poisoning is difficult to diagnose. Because its symptoms are similar to other common illnesses, such as the flu, carbon monoxide is often called the “Great Imitator”. CO poisoning can cause headaches, fatigue, nausea, dizzy spells, and confusion. It is recommended that you install at least one detector within 40 feet of all rooms used for sleeping purposes. A second detector could also be located near the home’s heating source as an extra measure of safety. All of the safety products are manufactured by Kidco . They have the most extensive selection of safety products which have been highly rated. If you visit their website you will be able to locate a retailer near you. Missing Boy Scout Found Alive! !